Three days ago the lovely people from Merci Maman – Personalised Gifts contacted me to offer me the chance to review one of their beautiful charm bracelets just in time for Mother’s Day and yesterday my personalised bracelet arrived – I couldn’t believe how quick and easy it all was. All I had to do was go to the Merci Maman website and pick the type of charm and colour braid I wanted from a range of absolutely charming, unique and carefully-made gifts, before I could choose the names I wanted engraved onto the charm itself. I went for two silver heart-shaped charms and had both Amy’s and Ben’s names engraved on the front. The back of the charms shows Amy’s date of birth and when Ben and I first met. The charms are absolutely gorgeous and go beautifully with the fuchsia coloured braid that I chose. My bracelet is a really stunning piece of jewellery and I am seriously thinking of getting one of them for my mum. Mother’s Day in Germany is in May as is her birthday, so I have plenty of time to make up my mind because there are endless choices of braids, charms and materials that ensure that your loved one gets a truly unique gift. My charm even came in a beautiful orange gift box and with a lovely handwritten card, so you don’t even have to panic about the wrapping. Merci Maman is a small business with a passion for quality, innovation and style and that really shines through in every little detail. If you want to treat your Mum this Mother’s Day, Mummy Alarm and Merci Maman offer you a 10% discount. Simply quote “mummyalarm” for all purchases until 16th March. To ensure delivery in time for Mother’s Day, make sure to order before noon on Wednesday 14th March for UK Standard Delivery and before noon on Friday 16th March for UK Next Day Delivery. £90 for 5 charms, £105 for 6 charms. Disclosure: I was provided with a charm bracelet free of charge for the purpose of this review. All words are my own. The content of this review has not been influenced by Merci Maman. So nice! 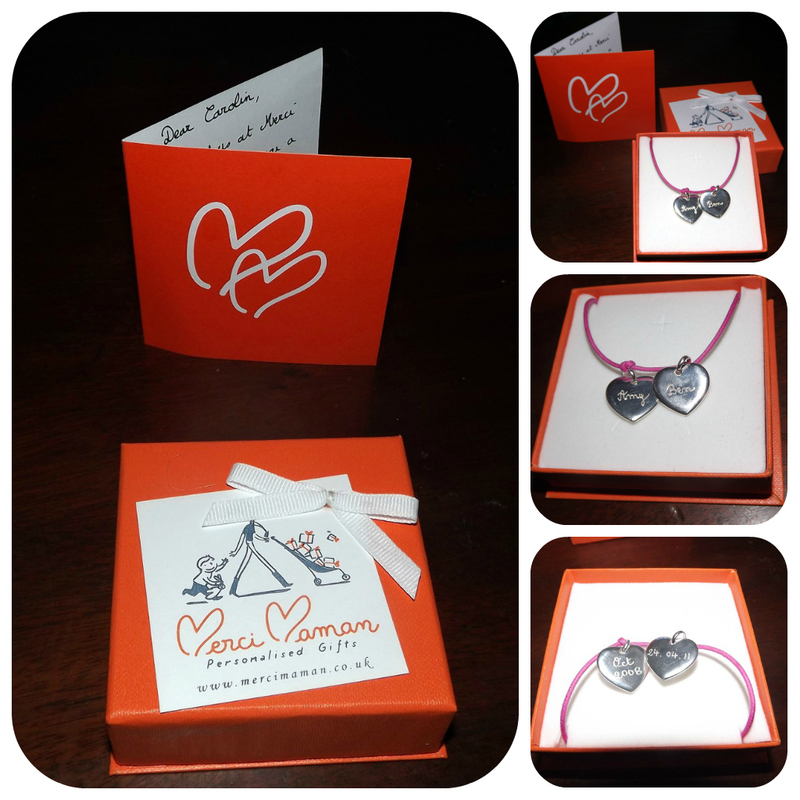 You are providing a wonderful gift to many through your wonderful resources on charm bracelet from Merci Maman! Just a quick note to tell you that i have a passion for the topic "charm bracelet" at hand. Thanks the head up………………….. So pretty designs of charms bracelets, looking awesome..! !